Hotspot Shield is a well-known VPN service launched by AnchorFree back in 2008. Since then, more than 600,000 people all around the globe have installed this app on their devices, entrusting it with their online privacy and security. One of the things that set Hotspot Shield apart (except performance) is the fact that it features an excellent free version that’s more than capable of keeping your online sessions away from any prying eyes. On April 26, AnchorFree expanded its professional portfolio to include Hotspot Shield Business, providing companies around the globe with a reliable, fast, and budget-friendly online security solution. Hotspot Shield Business is especially convenient for companies that use a virtual office. 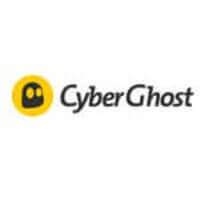 These connections can be used to access the company’s email and other relevant information but can also be compromised by hackers who may try to steal confidential customer info and proprietary data. The common myth is that small-to-medium businesses are somehow “spared” when it comes to these types of attacks. This couldn’t be further from the truth, though. In 2017 alone, SMBs were the targets of over 60% of all cyber-attacks. Hotspot Shield saw its opportunity there and managed to develop an amazing piece of security software. 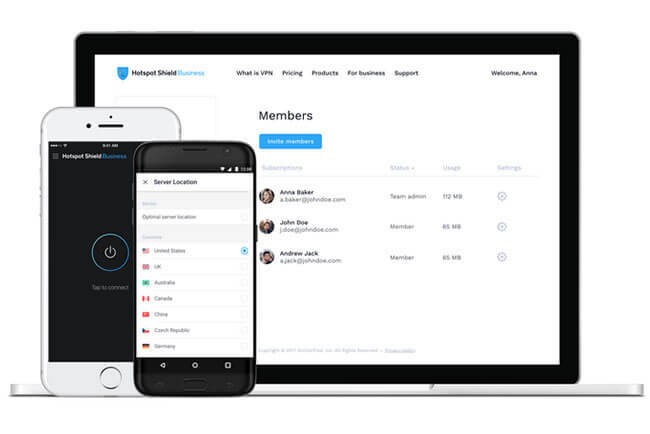 The VPN service provides its users with industry-leading VPN technology, allowing them to share sensitive data with coworkers and clients and perform financial transactions without any fear of “leaking” the data to any third parties. Hotspot Shield Business supports all the major platforms, including Windows, Android, and Mac. The software can be shared between up to 20 employees on multiple devices. Every business gets its own dedicated server, which ensures the fastest and most reliable connection possible. Like the regular Hotspot Shield, the Business edition also features more than 2,500 servers spread across 100+ locations. The military-grade encryption is paired with 24/7 customer support for optimal user experience.